Your photos are so beautiful. You garden is awesome! I 'm joining tablescape Thursday for the first time this week. See you there. HI Candy! Love this! I agree - your photography is spectacular! Very pretty reds. You must have a green thumb. Wow, what green ....er......red thumb you have!! Beautiful! 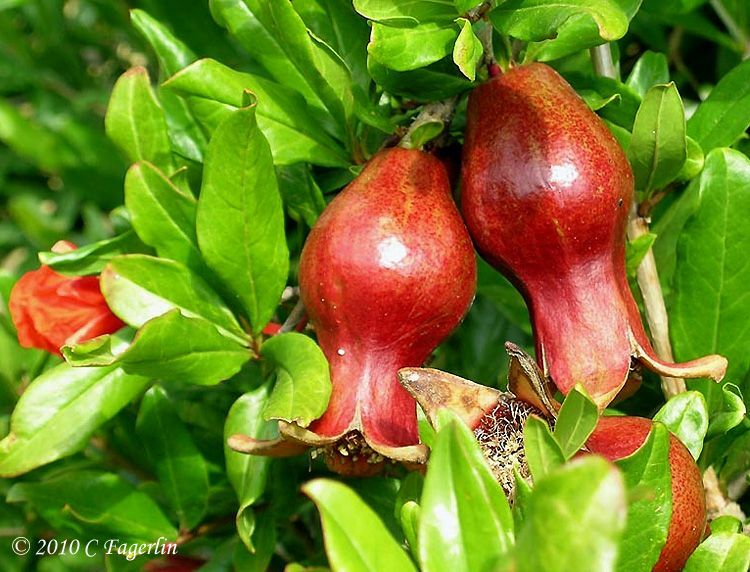 I've never seen how pomegrantes grow. Wonderful photography. Thanks for sharing with us. Thanks for the picture of the fireworks, I mean Monarda! It's one of my favorite flowers in the garden. And your trumpet vine is spectacular! I've had mine for about 5 years, and it still hasn't bloomed. I think it doesn't get enough sun. I always enjoy seeing all of the lovelies from your garden! A very beautiful capture of the flowers!! Happy Wednesday! WOW,,WOW..that scarlet trumpet vine ...SIGH....I'm loving it! 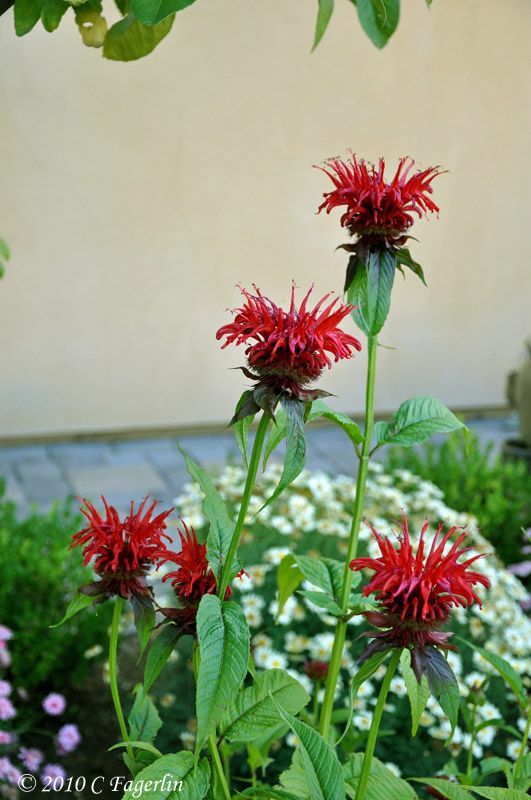 Beautiful - love the bee balm! Beautiful reds! The Monarda is coming along so nicely, and what a surprise to see a pomegranate tree! Thanks to all you lovers of RED for stopping by! 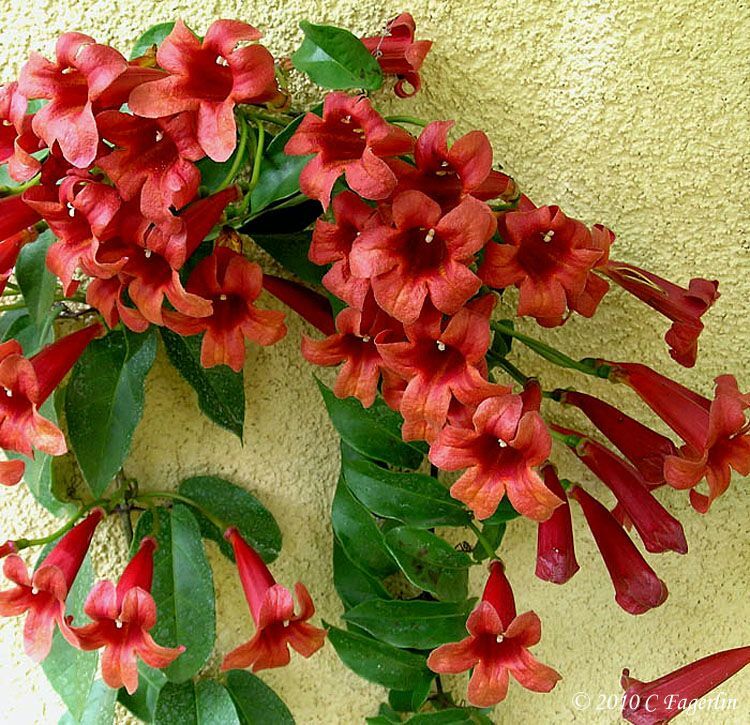 The Scarlet trumpet vine in my experience takes a few years to become established and does appreciate some extra fertilizer to jump start it.